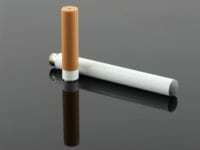 Wismec is not a new name in the vaping world. You might have heard about its utmost manufacturing quality and reliability. 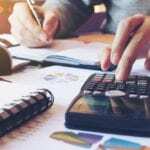 Indeed, we can’t recall a single faulty device ever made by this brand, and the company keeps taking over the market with their innovative and practical devices. 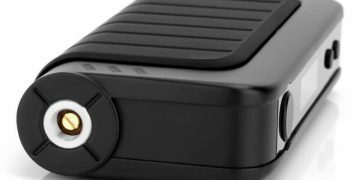 A worthy example of a top-notch vaping device is the brand new Wismec Reuleaux RX2 3 mod. This mod rapidly captured the attention of the vaping crowd with a combo of the two things: impeccable performance and reasonable price. In this Reuleaux RX2 3 review, we’ll take a closer look at the RX2/3 mod to see if it really is so good. 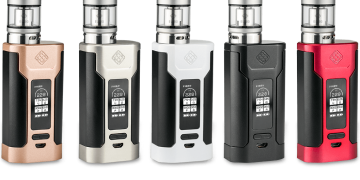 There are lots of questions out there as to what makes Reuleaux RX2/3 stand out, especially in spite of the fact that the previous RX200S model has very similar features. We’ll explain everything in this review, so keep reading. There are three batteries inside the device. The triple 18650 battery chassis has a total power limit of 200W, whereas the dual ones provide a maximum of 150W. 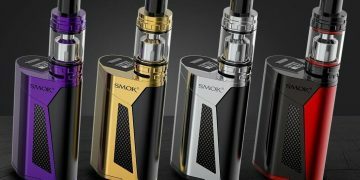 The peculiarity of RX2/3 version is that it allows for switching between the batteries. There is a lot to appreciate when it comes to the build of this device. We won’t be exaggerating by saying that the RX2/3 is an absolutely gorgeous-looking vape mod. It’s composition and construction really let you know that what you are holding right now is a high-end device. The dual/triple battery thing automatically gives this mod +100 points because the system is simple, functional, and beautiful at the same time. Finally, RX2/3 incorporates a couple of special features that make it different from any other model on the market. 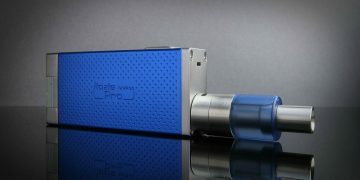 The mod has a tiny well for e-juice at the top of the 510 connector with a printed brand name on its body. On both sides of the device, there are two ventilation slots. Next, there is an OLED screen in lieu of the fire button and an adjustment button. Finally, the main button with the designer’s name on it is placed on the control side. 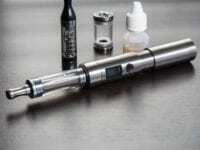 Depending on what kind of battery system you decide to go for, the design of the mod will change a little. 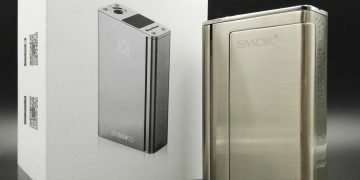 Namely, with the 2-battery setup, the mod will have a flat cover, whereas, with 3-battery one, the RX2/3 will have a regular Reuleaux back cover. At the bottom of the mod, you’ll notice the four air ventilation slots. Additionally, there is a small square button used to detach the battery cover from the device. All in all, the design of Wismec RX2/3 is really special, to say the least. But what about the functionality? Let’s find out. Wismec Reuleaux rx2/3 includes all the features and functions that are most admired in the previous models, but this time, they are integrated into the device. How cool is that? Here are some of the most impressive Reuleaux RX2 3 features that our team couldn’t miss. 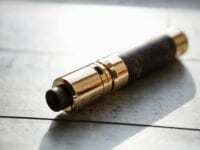 As we’ve already mentioned, this is 100% true that the RX 2/3 shares features of the older model from the Reuleaux series, but there is definitely more to this mod that one might think at the first glance. 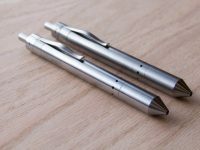 This vaping device allows for temperature control settings between 60 and 200 degrees, which means that it’s compatible with titanium and stainless steel builds. Besides, there is also a TCR mode in this device, meaning that you’ll be able to reduce the power to as low as 0.05 ohms. 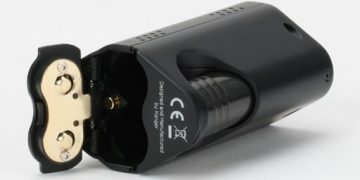 Whereas it is recommended to charge Reuleaux RX2 3 batteries using an external device, you can also use the micro-USB port for a similar purpose. But generally, USB is meant to be used for upgrading Wismec Reuleaux rx2/3 firmware. 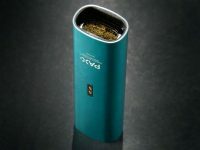 From what we’ve seen, the RX2/3 is a stylish and versatile device that would be great for everyday use. 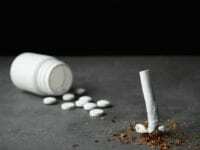 Yet, if you decide in favor of this mod, you need to prepare yourself for some trade-offs. 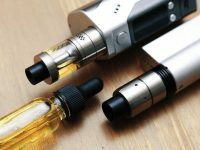 Namely, you’ll have to make a choice what you value most because the battery setup that preserves maximum battery life and power might slightly affect the quality of vapor. At the same time, the other setup will make the mod more portable, but it will reduce the power of the battery. Even the most flawless devices usually have at least one subtle drawback. We’ve been looking for something that would bug us in this mod, but we actually have nothing to complain about so far. 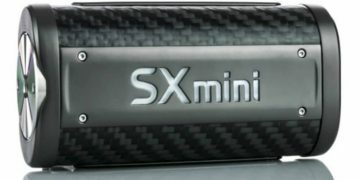 This device is super stylish, practical, versatile, powerful, it demonstrates great performance and it is reasonably priced for its category. 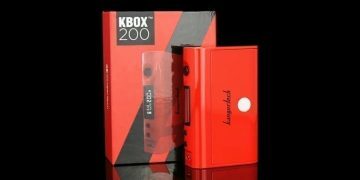 In fact, after you go through the list of the Reuleaux RX 2 3 specs and features, the price will definitely be a pleasant surprise. If you’re looking for a truly phenomenal vaping experience, the RX2/3 is the choice for you. We were particularly impressed that the Wismec RX2/3 performance resembles of the DNA chipset one. 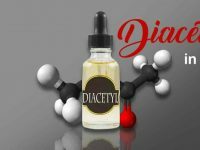 For those who are not familiar with the DNA chipset, this is one of the most popular pieces of vaping technology at the moment. If you need a powerful, versatile, and relatively inexpensive mod, be sure to consider Reuleaux RX2/3 by Wismec. 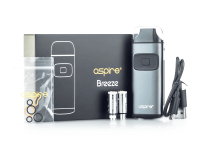 This is a sleek device that ensures a smooth vaping experience and customization. Besides, the appearance of this mod will satisfy even the most demanding users. We can assure you that you won’t be able to find a better executed two- and three battery setups anywhere. So our final verdict: 10/10, totally recommended.